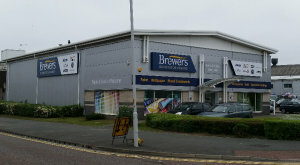 Brewers Decorator Centre in Birkenhead is more than just a supplier of paints to the trades; we’re a decorating superstore. The Birkenhead branch – a Robinson & Neal store before joining the Brewers family in 2014 - features a dedicated wallpaper showroom. So, as well as being able to source hundreds of wallcovering designs here, you also have access to countless trade and designer paints and any decorating sundries and equipment you might need. You’ll find us immediately off the A41 New Chester Road, near Green Lane train station and Cammell Laird shipyard. 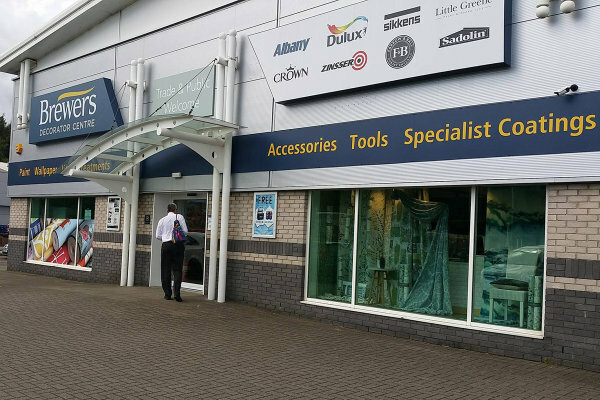 You can’t miss us – it’s a large store and highly visible from the main road. From Green Lane, at the roundabout take the forth exit on to New Chester Road. Valiant Way is the next turning on the left. From Campbeltown Road, take the first exit on to New Chester Road. Valiant Way is the next turning on the left. Travelling southbound on the A41, at the roundabout take the second exit on to New Chester Road. Valiant Way is the next turning on the left. Travelling northbound on the A41, at the roundabout take the fifth exit. Valiant Way is the next turning on the left.